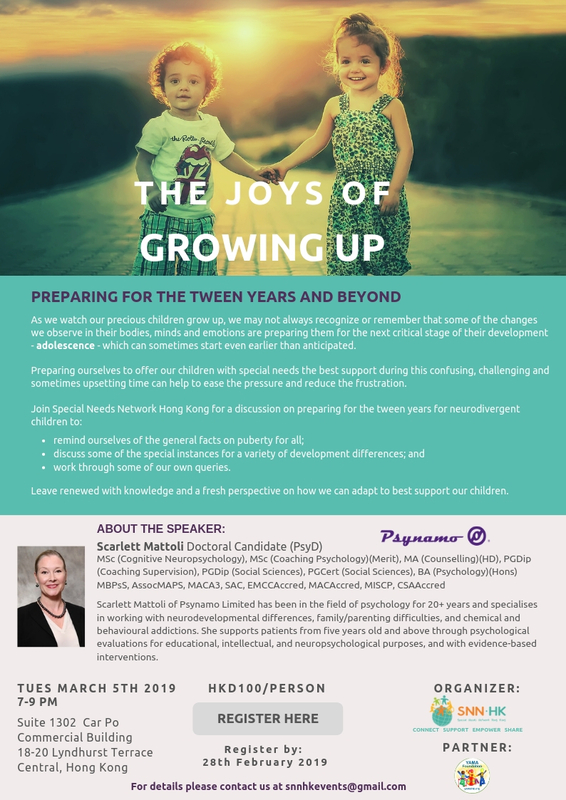 In this important talk, Scarlett Mattoli (PsyD) of Psynamo Limited will discuss how we can positively parent our neurodivergent children and help them prepare for their transformation into young adults. Backed by a wealth of experience, Scarlett has worked with both parents and children to help them find their feet and experience the joys of growing up. Do join SNNHK for an informative evening of sharing and discovery to equip us with the appropriate strategies to set our children up for success. Please take a look at the attached flyer for more details.